In the fight over online poker in the United States, one of the major battlegrounds has been deciding just who gets to participate in this very lucrative market. 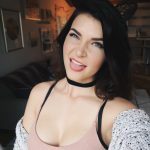 In most cases, some sort of “bad actor” clause has been used to limit the ability for companies who offered online gaming in America after the Unlawful Internet Gambling Enforcement Act (UIGEA) was passed to apply for licenses, either immediately or indefinitely. While several operators are affected by this, there’s really only one major target: PokerStars. These provisions have made it exceptionally difficult for PokerStars to regain a foothold in the American market. Some legislators and competitors have said this is only fair, while the company, its allies and many players have complained that it is only keeping one of the most trusted and popular names in the industry out of the market. 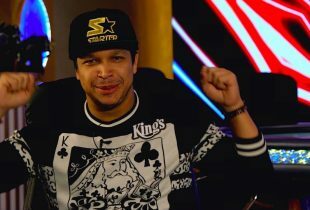 This week, PokerStars gained a surprising supporter in this debate, as one of their chief rivals has said they belong back in America. 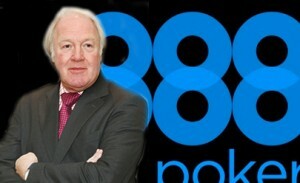 That’s the word from 888 Holdings CEO Brian Mattingley, who says that the poker giant’s recent $4.9 billion sale to the Amaya Gaming Group should allow the PokerStars brand to come back to American shores. In Mattingley’s view, PokerStars would be the clear favorite to dominate in the United States, just as they have elsewhere. But he says that all sites would benefit, predicting that a rising tide would lift all boats. If anything, Mattingley might be understating PokerStars’ place in the online poker world. At the moment, PokerStars and 888 operate the two largest Internet poker rooms on the planet, but the two aren’t even close when it comes to traffic. 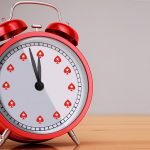 While 888 Poker averages about 1,900 real money cash game players at any given time (according to data from PokerScout), PokerStars has about 18,000 on average, with peak hours bringing that number closer to 28,000. 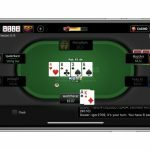 The Rational Group, which is in the process of being sold to Amaya Gaming, also controls Full Tilt Poker, which ranks fifth in online poker traffic. Three segregated PokerStars sites (in Italy, Spain and France) are also among the top 11 sites in the world. Overall, PokerStars and affiliated sites control more than half of all worldwide online poker traffic. In the United States, however, 888 Holdings certainly has the leg up. The company operates regulated sites in New Jersey and Delaware, and also has a license to operate in Nevada. Meanwhile, the Rational Group has been kept out of Nevada by a “bad actor” clause, and New Jersey suspended the company’s license application last year. But that situation could change. New Jersey’s Division of Gaming Enforcement direct David Rebuck said the department will meet with Amaya Gaming to discuss revisiting the PokerStars application. 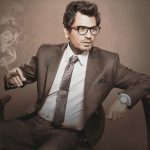 A “bad actor” clause is language contained in online gambling legislation that is designed to stop certain companies — the so-called “bad actors” — from participating in a regulated market. In the United States, this usually means prohibiting companies that continued offering online gambling after the Unlawful Internet Gambling Enforcement Act (UIGEA) went into effect. 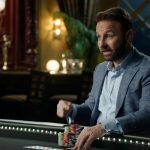 In particular, these clauses have threatened to prevent PokerStars from competing for licenses in several states. The exact nature of these clauses can vary: some include outright bans, while others only force the “bad actors” to wait a number of years before entering the market. John / Basically once you say raise you are ctoimtmed to raise. Once you say call you are ctoimtmed to call and can only call and not raise. Never say the I see your line if you intend to raise as it will just be regarded as a call. You don’t really need to say anything if you put your chips in the middle in one continuous motion. If you string chips into the pot its a call. The one exception is if you put one big chip into the middle its treated as a call rather than a raise unless you say raise . So, if you want to raise without saying raise, make sure you at least use two chips to raise.